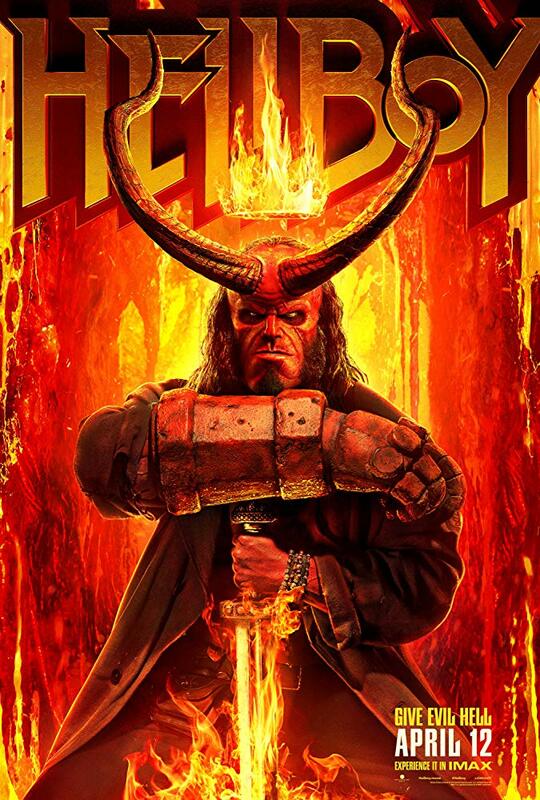 Neil Marshall's Hellboy reboot is awful. Actually, it's beyond awful. It's execrable. It's an offense to the eyes and the brain. There was clearly a desire to extend the franchise after original director Guillermo del Toro departed. Ironically, this picture is likely to end it for a good long while. David Harbour takes over the title role from Ron Perlman. The character, a demon with sawed-off horns and a right hand made of stone, is tasked with preventing major calamity. A so-called “Blood Queen” named Nimue (Milla Jovovich) was foiled by King Arthur centuries ago. Her body was disassembled, with the various parts put into boxes and buried at different spots around the world. Now she threatens to rise again, so Hellboy has to keep the last piece of her from joining together with the others. Every creative decision that was made on this movie is wrong. From start to finish, you wonder why anyone thought this approach was a good idea. A traditional review somehow isn't appropriate in this case, so let's try something different. Rather than telling the story in a straightforward, linear manner, the film keeps indulging in bizarre and confusing tangents, including multiple flashbacks and scenes with minor characters that go on way too long before fulfilling their intended purpose. The supporting characters, including Hellboy's old friend Alice (Sasha Lane) and Bureau for Paranormal Research and Defense agent Ben Daimio (Daniel Dae Kim) are flat and uninteresting. Things come to a screeching halt whenever they're front and center. The movie lacks the artistry, intelligence, and sense of wonder that permeated del Toro's two Hellboy pictures. Although undeniably a good actor, David Harbour is no Ron Perlman. His performance suffers in comparison. Visually, it's dark and gloomy, and after a while you get tired of looking at something so relentlessly ugly. The action scenes are uninspired, especially the requisite finale in which CGI creatures fight each other. Marshall's direction is plodding, leading to boredom, impatience, and general zoning out. The attempts at humor are not funny, which is a shame since Hellboy's comedic sarcasm is a significant part of his appeal. Nimue is an under-written villain, making her utterly non-threatening. We don't even root against her because she's such a bore. So much blood is graphically shed onscreen that it becomes seriously off-putting (and mildly stomach-churning). We don't need to see people having their faces ripped off or a person getting their legs yanked so far apart that they split down the middle, from crotch to head. Hellboy is rated R for strong bloody violence and gore throughout, and language. The running time is 2 hours.